Even in Arizona, the winter months can feel drawn out and drab. Now that spring is in the air, it is the perfect time to get your annual spring cleaning routine started. While you may be used to dusting off windowsills, shelves, and shake out your area rugs, you should not forget about the outside of your home. How about adding some spring cleaning TLC for your roof to this year’s to-do list? If you are uncertain how to perform a spring cleaning for your roof, read on. Even if you think your roof is in tip-top shape, a thorough rough inspection may tell you otherwise. Start by inspecting your roof from a distance. 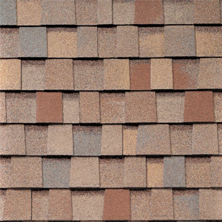 This will give you a good vantage point of checking your roof for loose, buckling or curling shingles as well as missing tiles. Other problems you may notice is algae or roof fungus which usually presents itself as green or black patches on top of your roofing materials. Contact a Tempe Arizona roofing contractor to assess the extent of the problem and to come up with a plan of action to get your roof back up to code. Even if it looks easy, don’t attempt to climb up and remedy the issue on your own. Roofing is dangerous business and you need years of experience and secure footing to work on a roof confidentiality. 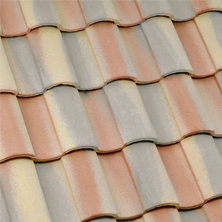 … or if you are not able to do it on your own, call your trusted roofer. Flashing should be in good shape and free of cracks and gaps or else you may end up with unwelcome roof leaks. Your roofing professional will also want to check skylights and other openings for proper fit and sealing. During the cold winter months, even Arizona building materials contract, which can lead to material problems or even failure. As with any other issues, the sooner, you fix the problem the less the damage that goes with it and the cheaper it will be for the homeowner. The drainage system such as the gutter, downspout and pipes are essential components of a healthy roof. Because trees shed their leaves during the colder months, gutters and downspouts can easily get clogged which can cause serious damage to the roofing structure. If the water is not able to drain efficiently, it gets pushed back underneath the shingles or roof tiles and can cause the roof to rot underneath. Cleaning your gutters is a cheap and effective way to keep your roof happy. Even if water doesn’t get backed up under your roof, water that falls straight down from overflowing gutters can damage the foundation of your building over time, causing truly expensive damage. Another problem, we see a lot with gutters and downspouts is that they are old and cracked. This is not only unsightly but can also hinder proper damage. Loose piping also prevents efficient draining of rainwater and the likes, but also poses a tremendous safety hazard in case it should become more loose and even fall off. If your home or business has a flat roof, you may want to check for ponding water and if the slope is sufficient for rain to properly drain. Ponding water can lead to significant roof damage and even leaks if left unattended. Mold and mildew are tell tale signs that there is moisture present where it shouldn’t be and oftentimes this means there is a problem with your roof. Maybe you are able to detect a moldy smell or have noticed dark stains on your ceiling or walls. Because water doesn’t generally take the direct route, chances are the leak is nowhere near where you might suspect. An experienced Tempe AZ roofing contractor can assist you in locating the area of damage and take care of it efficiently. Reasons for roof moisture and mold can vary from missing shingles, broken flashing, deteriorating underlayment or poor roof ventilation. Because it is always difficult for a layman to determine what the issue is, contact a roofer for help. While strictly speaking, trees are not part of your roof, they can have a dramatic impact on the health of your roof. Now is the perfect time to trim back trees that have grown bigger and are responsible for dropping branches (which can damage or puncture roof shingles), leaves (which can clog cutters) and debris onto your roof. Don’t wait until the tree is in full bloom again, as it will make the task just that much harder. Additionally, overhanging tree branches allow animals to climb onto your roof, which can lead to surprising nests in your roof or even your gutters. With extras I mean your HVAC unit, vents, pipings, and electrical lines. Since you are already inspecting on your roof, it only makes sense to check components that you find up there as well. A good roof is great, but it you HVAC unit is leaking or pipes are not insulated properly, you are losing out. Make sure that everything that should be sealed is and that areas responsible for ventilation are allowed to let your home breathe. If you follow these easy steps, your roof will thank you and carry you through the hot summer months and wet monsoon season with confidence. We understand that doing a lot of things on your own, can save you a ton of money. But if you are uncertain about how to perform a certain roof inspection task or are afraid of heights, contact your local Arizona roofing company for this year’s spring roof inspection. 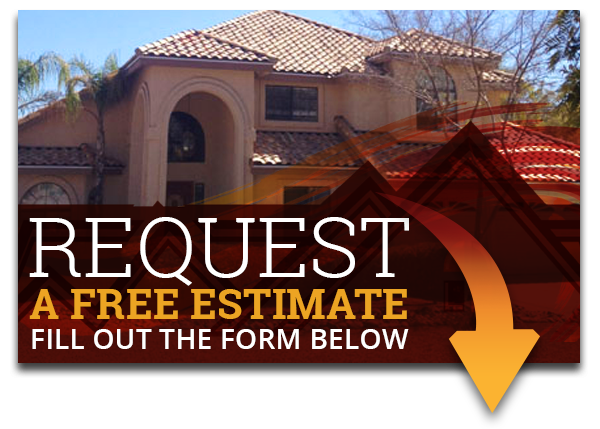 Express Roofing LLC in Mesa Arizona has years of experience in working on tile and shingle roofs. We can also assist you in assessing the health of your foam roof and restore it if necessary. 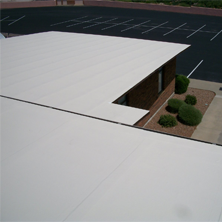 To learn more about our Arizona area roofing services or to schedule an inspection, contact us today.